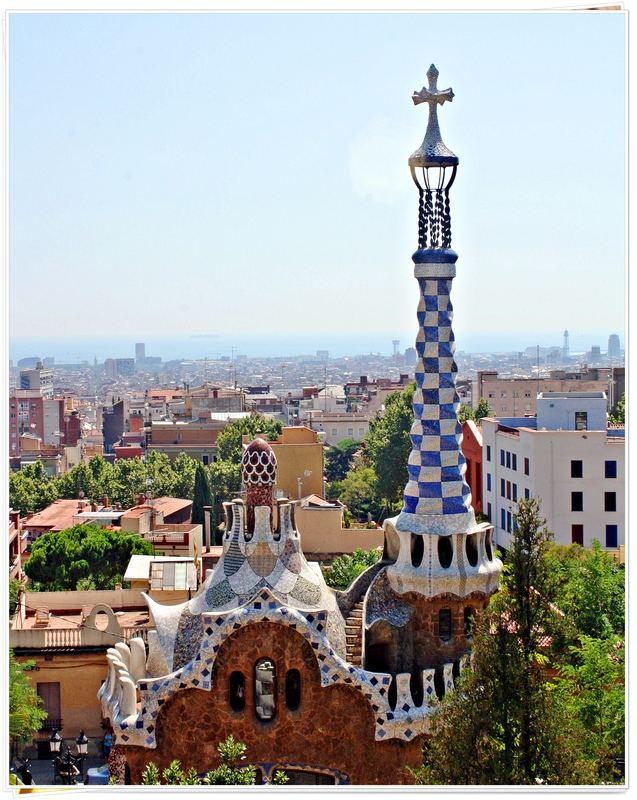 Anytime soon, I will be planning for our trip to Barcelona this coming April, and yet I haven’t blogged about my first trip to that city in August 2013 (yes, almost 4 years ago to date of writing!). 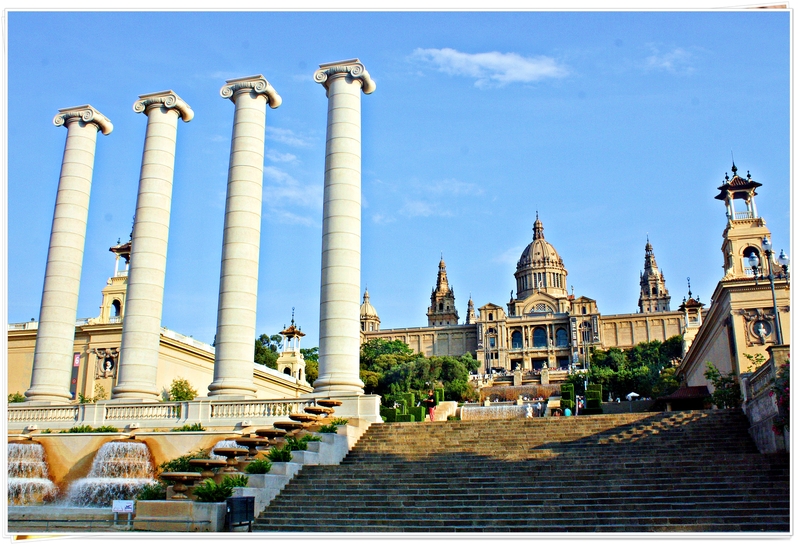 So I thought I’d write about my first time to set foot in Barcelona before my comeback. 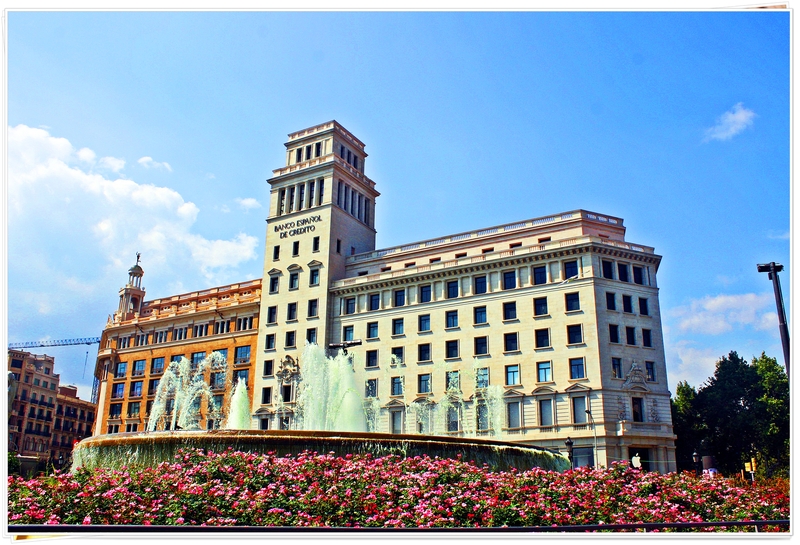 So this is part 3 of my week-long SPAINtastic series; Part 1 (Madrid and Segovia) and Part 2 (Valencia) were written in 2013. 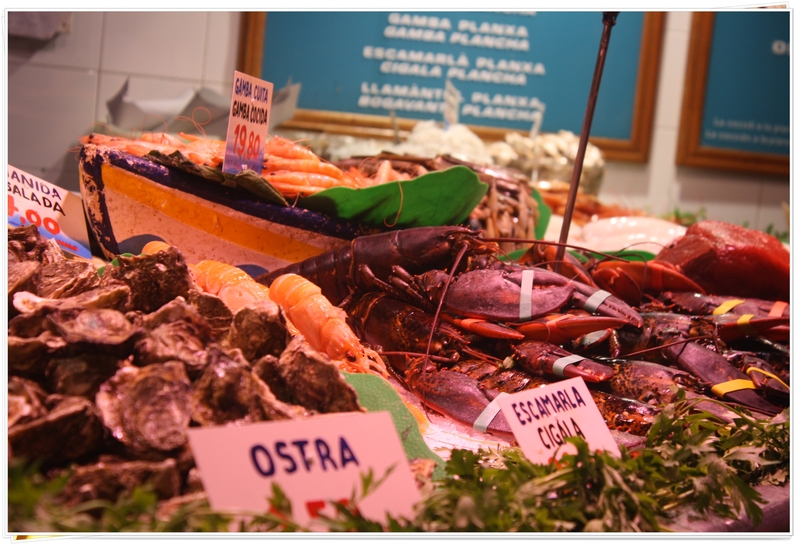 Ultimately, we wanted to make the most of our one week in Spain. 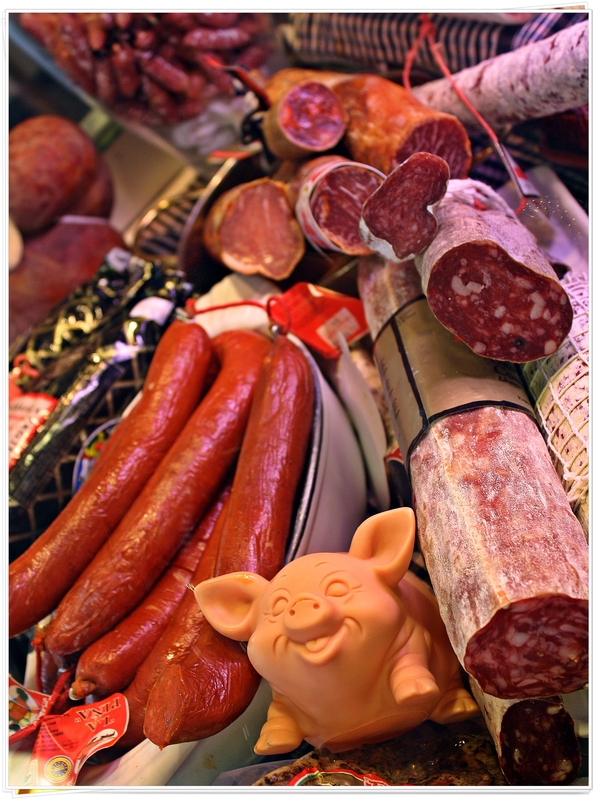 I did not have any specific objective to be honest, as I was still in my early stage of European wanderlust! :) So I was more on just relying with what Iris came up in our itinerary. 1. Agreed for the dates of travel and booked for flights: Picked the week where we had long weekend bank holiday. 2. Came up with an itinerary and accommodations: Fortunately, these have all been arranged by my friend Iris. (Actually I just tagged along with her on this trip). 3. 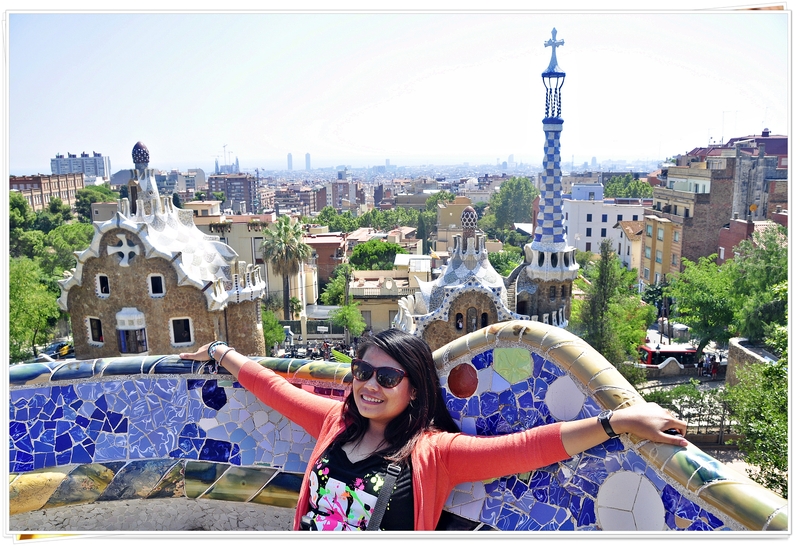 Secured a Schengen Visa: 2013 was my first year in the UK, and it was because of this SPAINtastic trip that I applied for my first ever Schengen Visa, but through the French embassy (read my first out-of-the-UK trip here). 4. Packed lightly and explored Spain! 1. 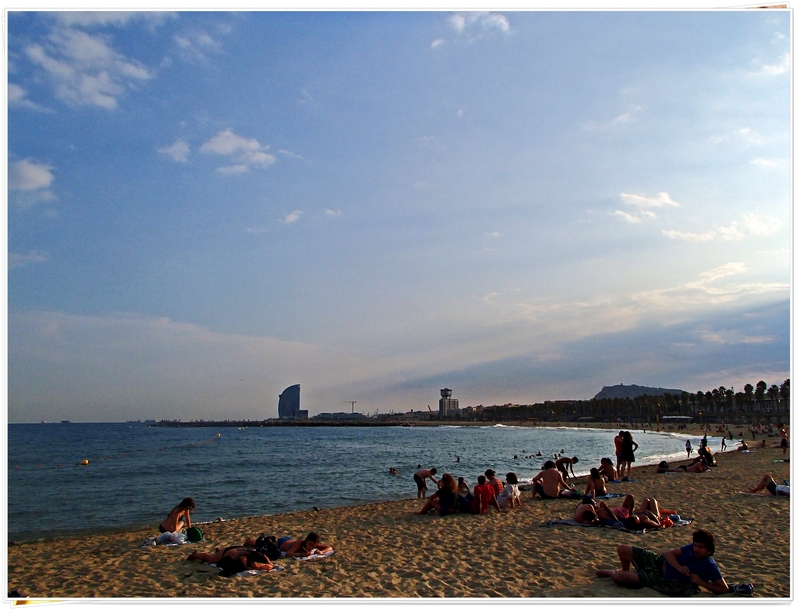 Date of Travel: 29th August to 01 September 2013 – And this was at the height of summertime in Europe! 2. Route: As I said above, this is part 3 (and the last part) of our trip; exiting here to go back to London. We came into Spain from London via Madrid, and traveled to Valencia for the La Tomatina Festival. 3. 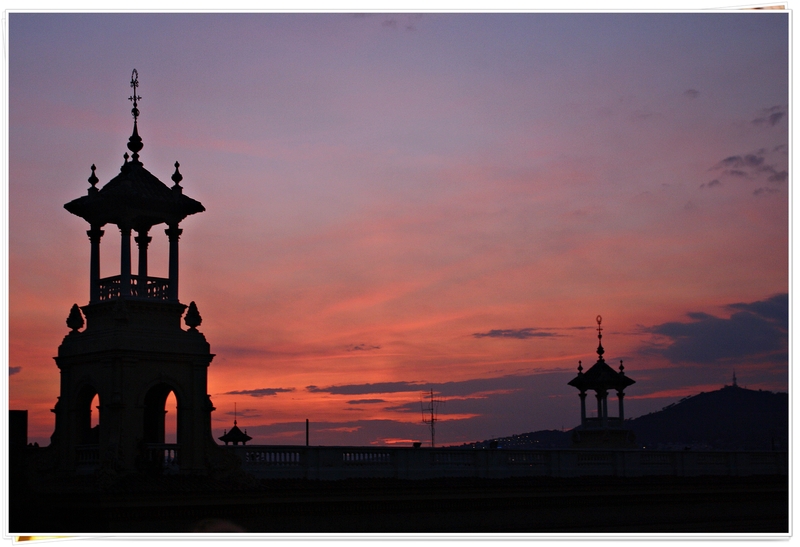 Itinerary and accommodations: Please click here for the itinerary. 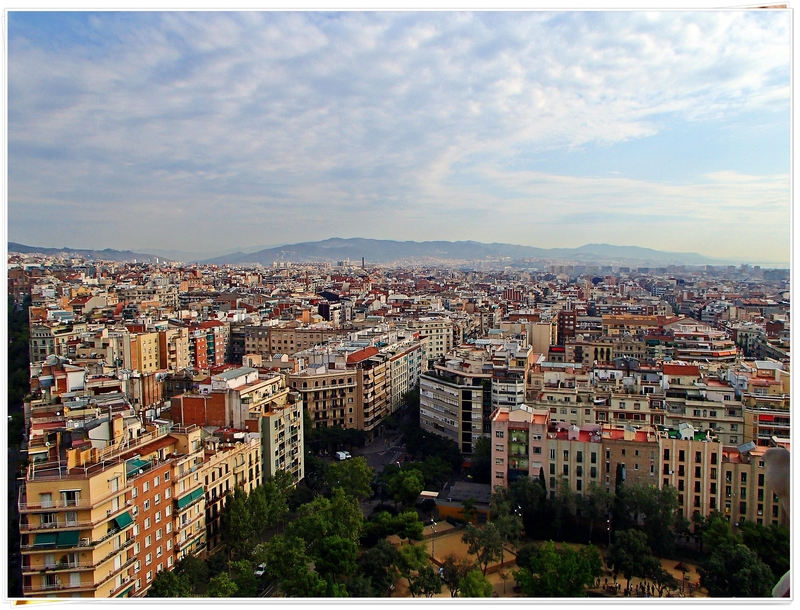 We stayed in Hotel Acta Antibes – Diputacio, 394, 08013 Barcelona, Spain (Metro monumental). 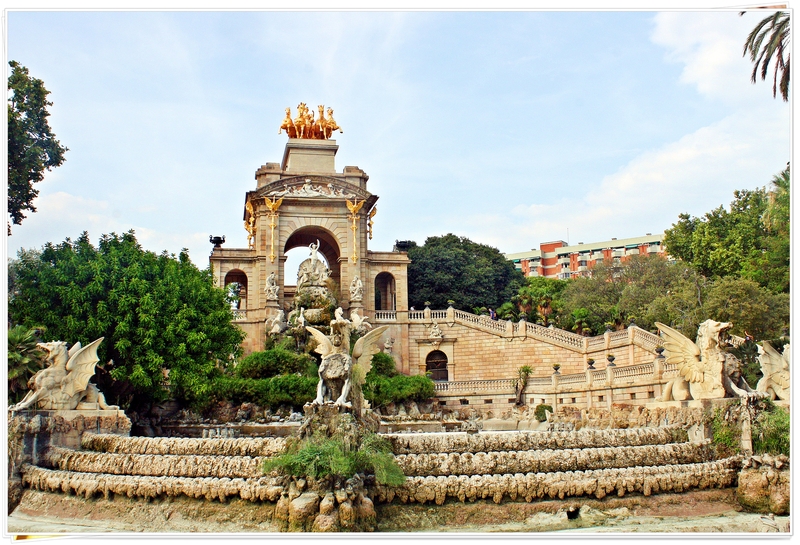 Below is a rough guide of what we did during our stay in Barcelona. Not sure where Iris got this from but I must say that this has been well planned and executed. Most of our tickets (i.e., to get into museums and/or palaces) have already been pre-booked, so we didn’t have to get into long queues. The moment we arrived in Barcelona after a long bus ride from Valencia, we immediately went to our hotel to drop off our bags. And with not much rest, we carried on with our itinerary. It was already around 3-ish or 4-ish and we didn’t plan on doing much on our first day in Barcelona. 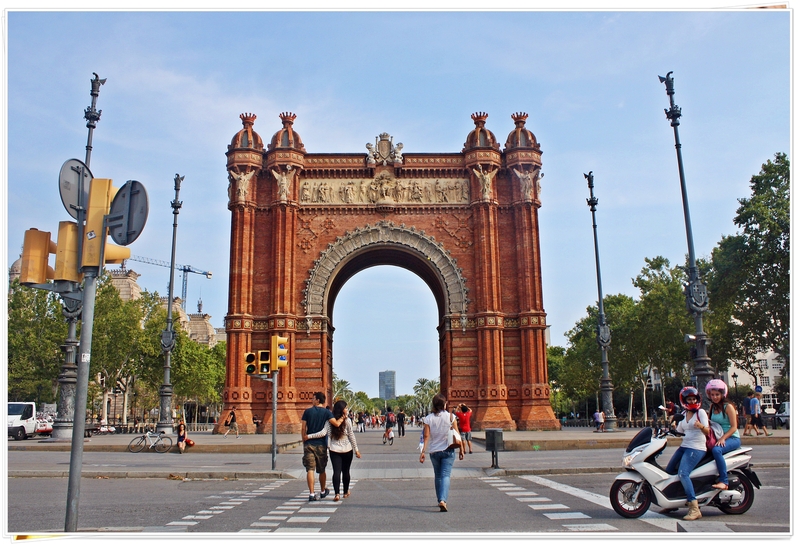 First on the list was Arc de Trimomf and then Parque de la Ciudadela. As this was the 3rd city of our week-long trip, I probably had enough of parks and arcs, so I wasn’t that impressed anymore–it’s like everything’s normal already. At least for parks/plaza and arcs that is. 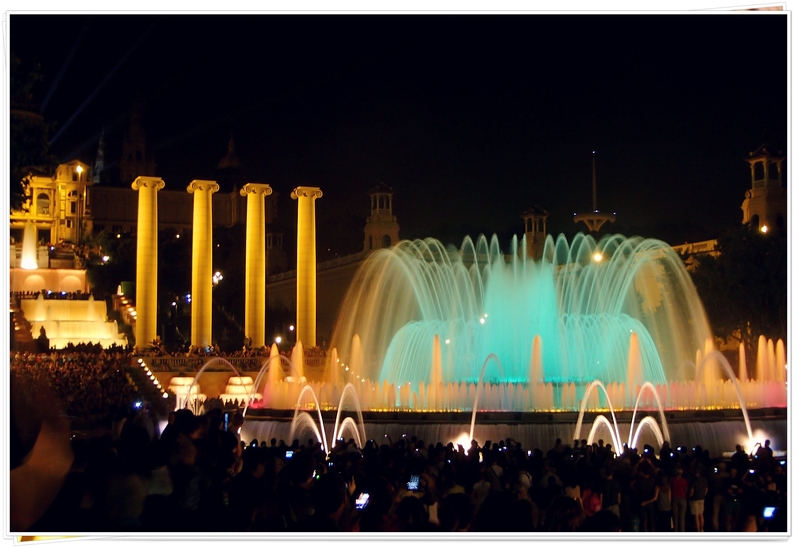 Our first day though ended at Parc de Montjuic–basically we wanted to wait for the magic fountain, a spectacular display of colour, light, motion, music and water acrobatics. And while we waited, we stuffed ourselves with patatas bravas while sipping our sangria like a pro! I remember the crowd around the Magic Fountain; I remember how Iris and I struggled to get a good view, as we are both so small and were both drowning in the sea of tall Europeans. But we managed to get good photos anyway. It definitely was a highlight of our first day! 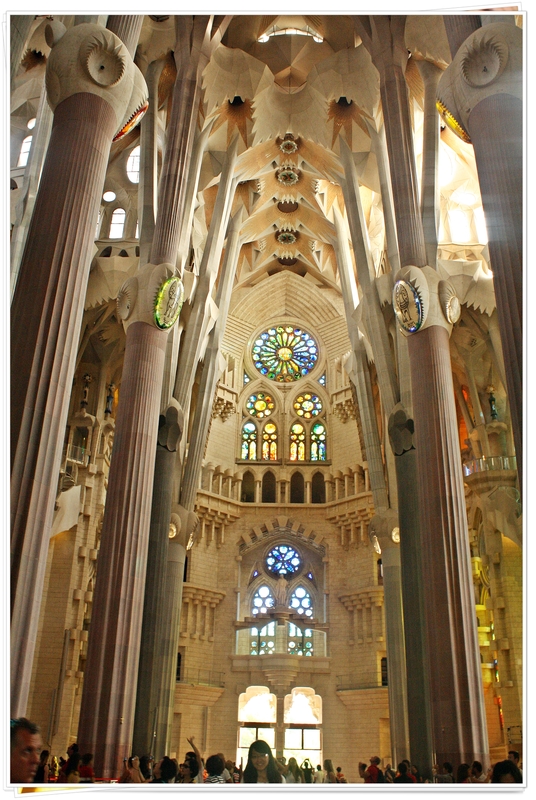 We started off our second day by visiting the famous Basilica de la Sagrada Familia. Before visiting the equally-impressive churches in Eastern/Central Europe, this church tops my list of most beautiful churches that I’ve ever seen so far. The intricacies of its architecture both on the outside and the interior are just so impressive that my limited English vocabulary won’t give justice to its magnificence. So I will leave you to browse through some of my photos below. 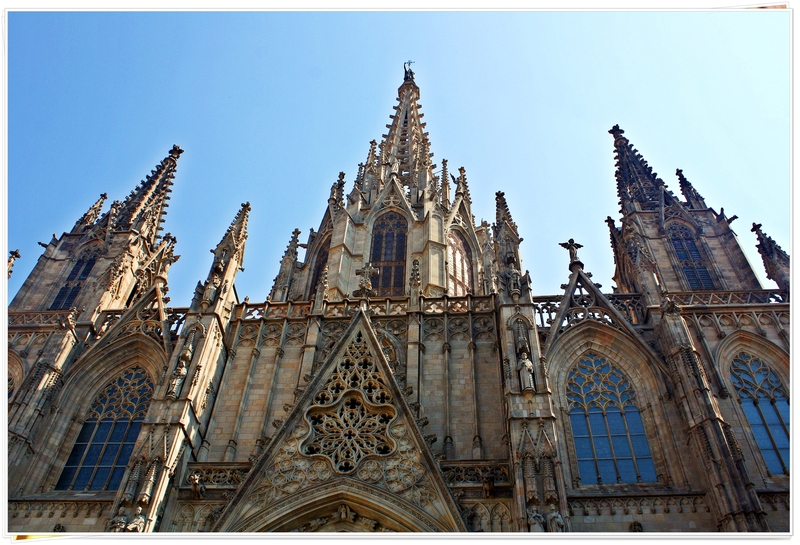 The basilica was designed by Catalan Spanish Architect Antoni Gaudi. 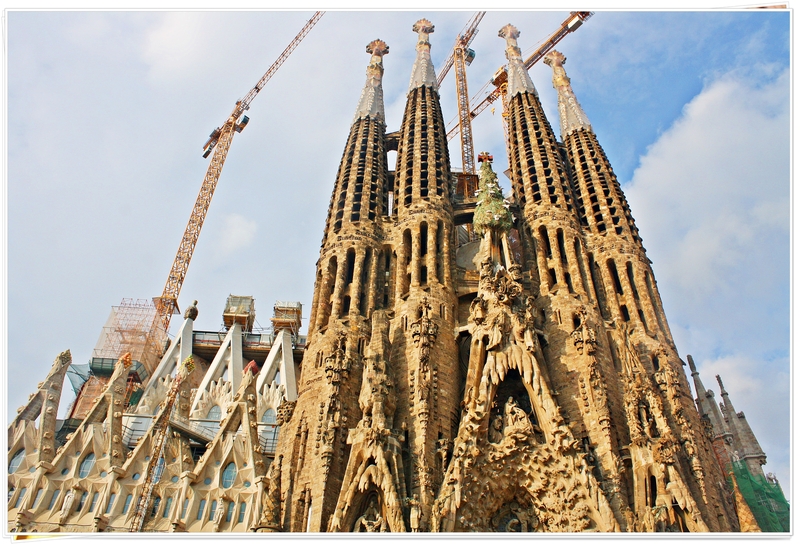 The construction commenced in 1882 and until now, it still isn’t 100% complete. 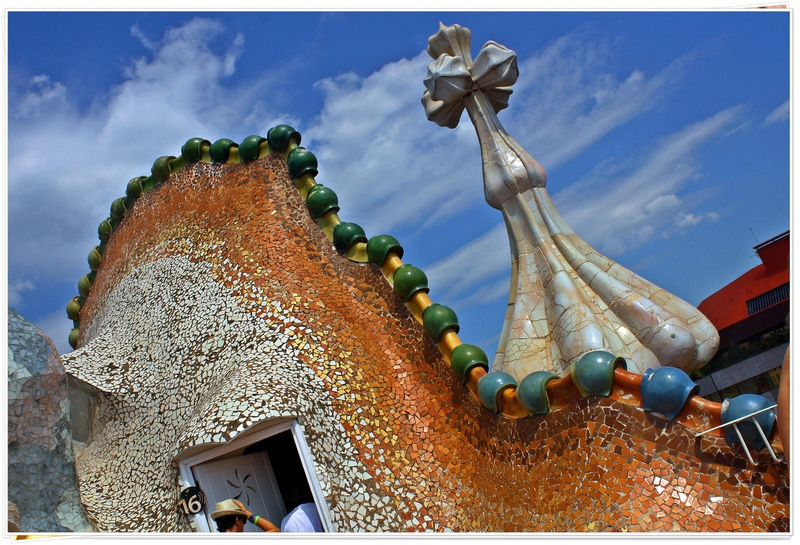 Apparently, the aim is to complete it by 2026, the centenary of Gaudí’s death. 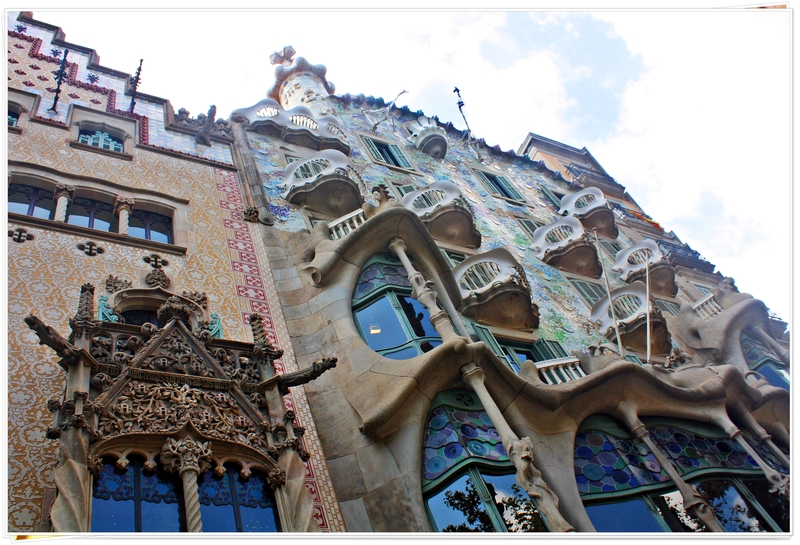 Next on the list was a visit to La Pedrera – Mila House (Casa Mila) and Casa Batllo, both of which are works of Antoni Gaudi. 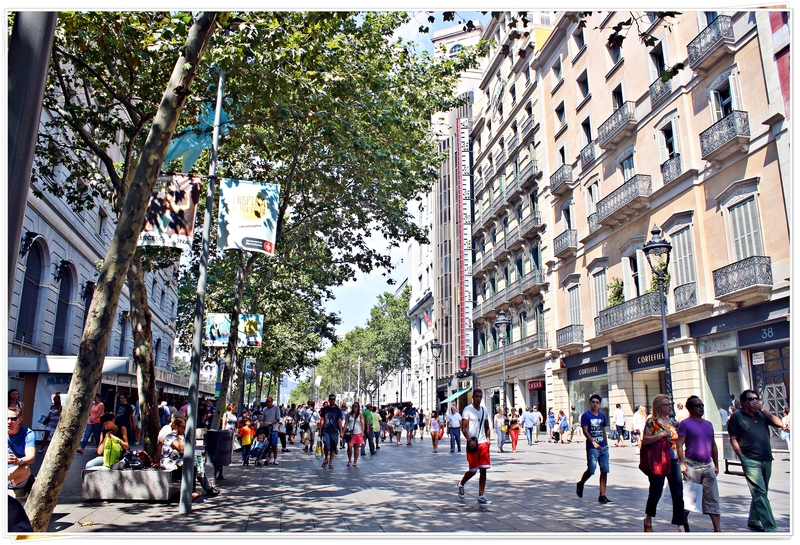 After then, we decided to wander around Plaza de Catalunya (Barcelona’s city centre), Ciutat Vella (Old City) and the famous La Rambla (probably the most touristy street of Barcelona). The rest of the afternoon has become a bit lazy already, so we decided to head back to our hotel, took a little rest, and then decided to hit the beach. There was this nearby touristy beach (I think it was Nova Icária Beach) that we went to) and enjoyed the rest of the afternoon. 3rd day was a trip to Mt. 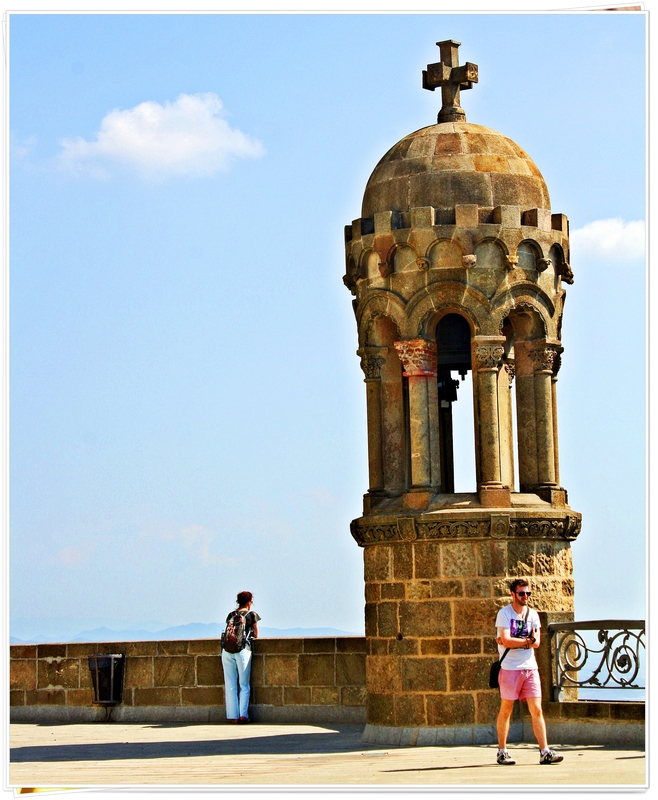 Tibidabo, a mountain overlooking Barcelona. 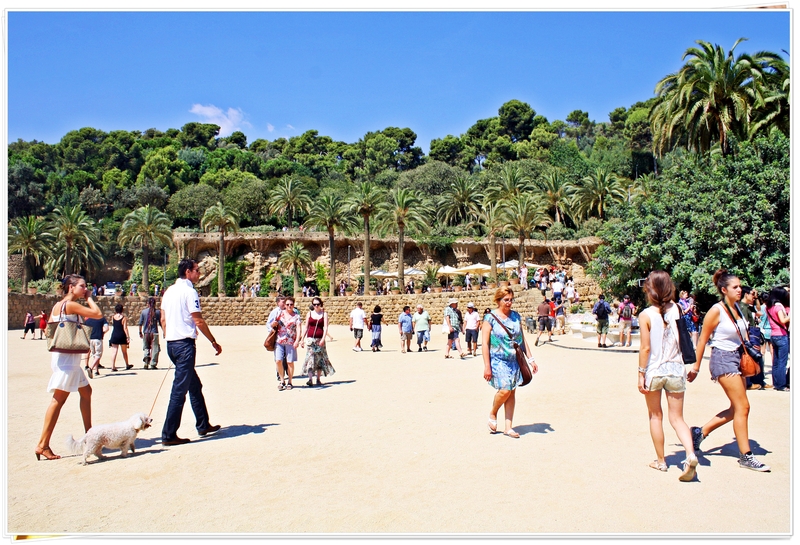 Nope, we didn’t hike our way to this place, we took the metro to Tibidabo and then a funicular train. Mt. 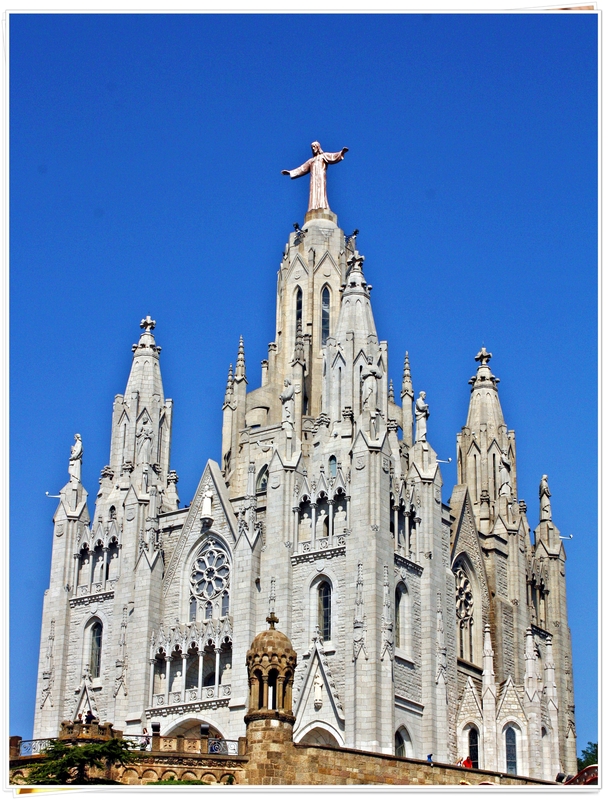 Tibidabo is the tallest mountain in the Serra de Collserola at 512 metres (1,680 ft). 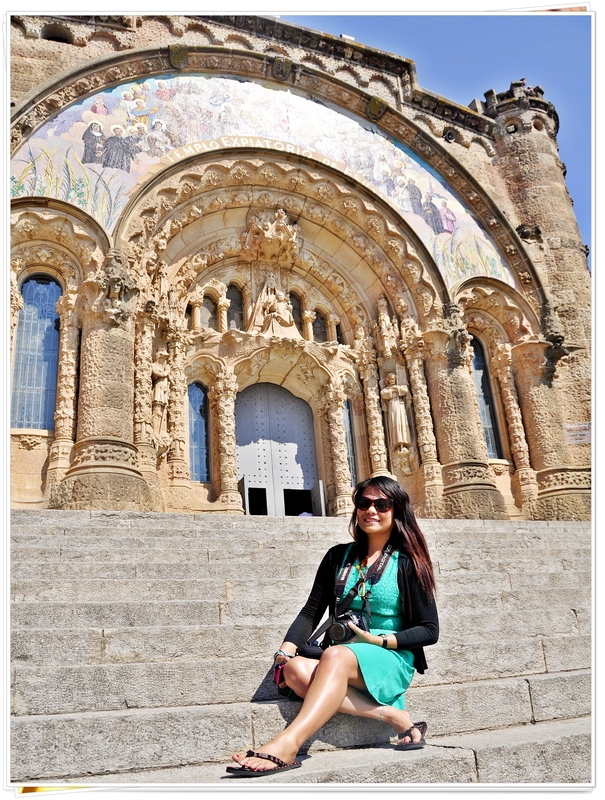 On here, we visited Temple Expiatori del Sagrat Cor and adjacent Tibidabo Amusement Park. 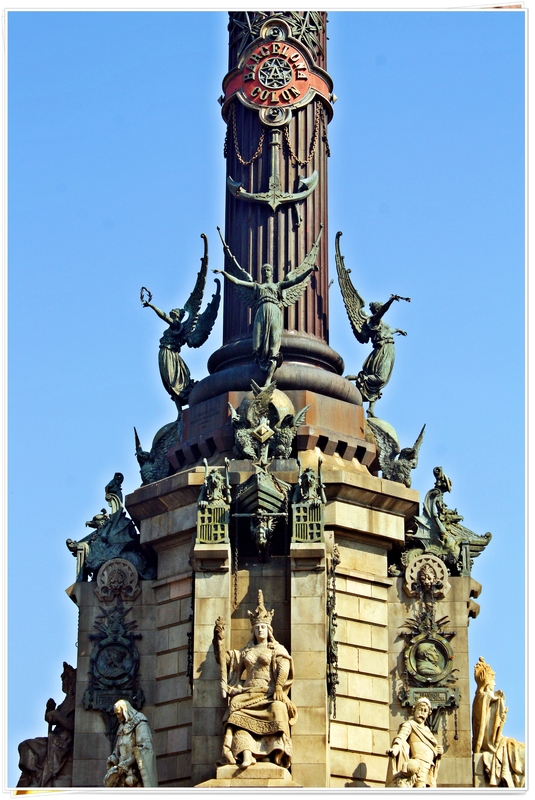 The statue on top of the church actually reminded me of the Christ the Redeemer in Rio de Janeiro. After a good few hours in this place, exploring the interior of the church and then just passing the time by admiring the entirety of Barcelona, we then went back to downtown Barcelona and continued with exploring the following: Guell Palace, St. Mary of the Sea Cathedral (Eglesia de Santa Maria del Mar), Gothic Quarter (Barri Gotic), and Cathedral of Santa Eulalia / La Seu (Barcelona Cathedral). After a full day of exploring, we treated ourselves to some churros and hot chocolate during the afternoon break after finding ourselves back in La Rambla. I would conclude that Day 3 is more like a church-hopping day for us! 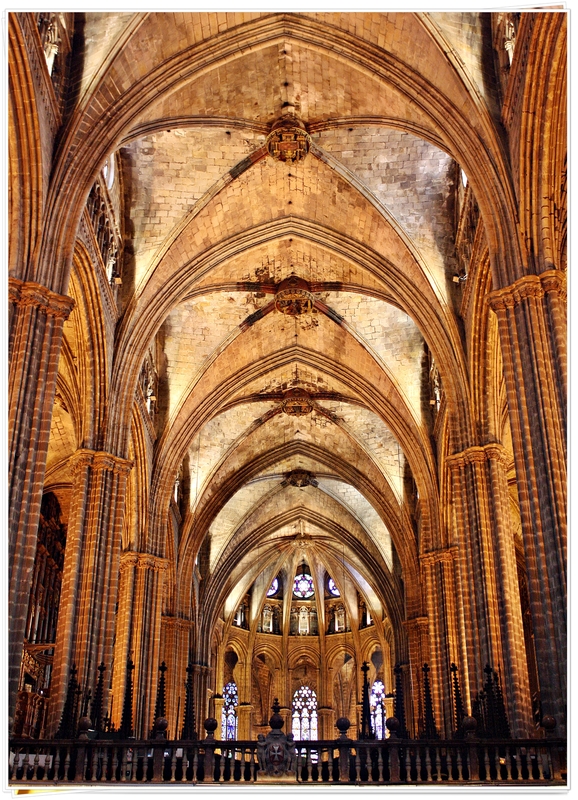 And still I’d say that to date, Barcelona (or Spain in general) has some of the most impressive and intricately-designed churches/basilicas in the places that I’ve been so far. 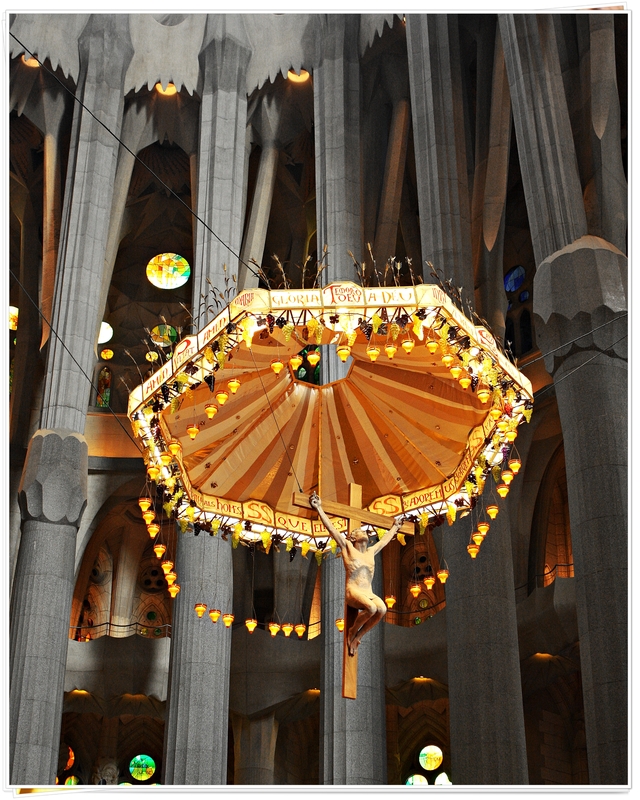 Actually, the real reason why we ended up in this restaurant is because we wanted to be close to Sagrada Familia because we wanted to see it at night time and take photos. 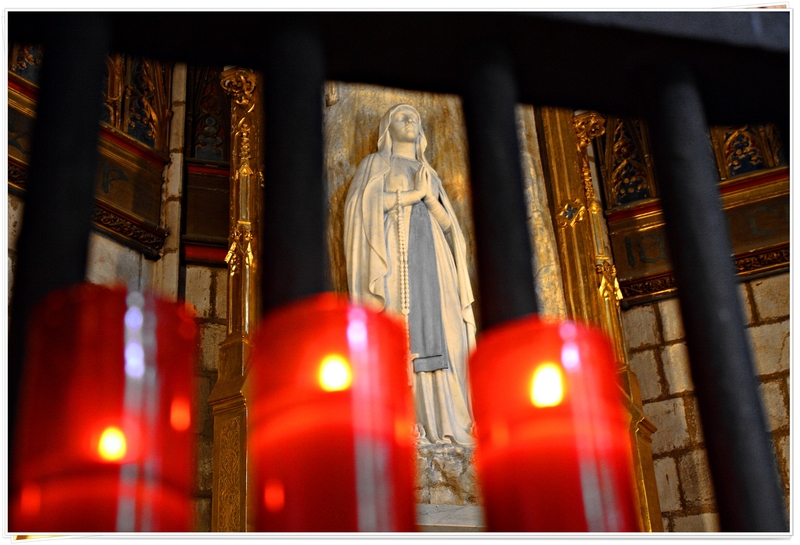 But I didn’t get any nice ones, and yes, because the basilica’s not properly-lit at night. 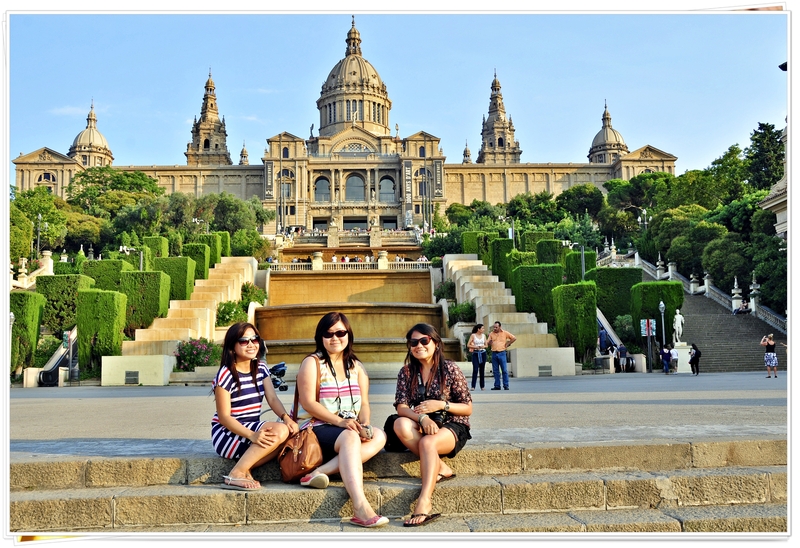 Our last day in Barcelona. We didn’t plan that much for this day, considering that we will be heading to the airport in the afternoon for our trip back into London. 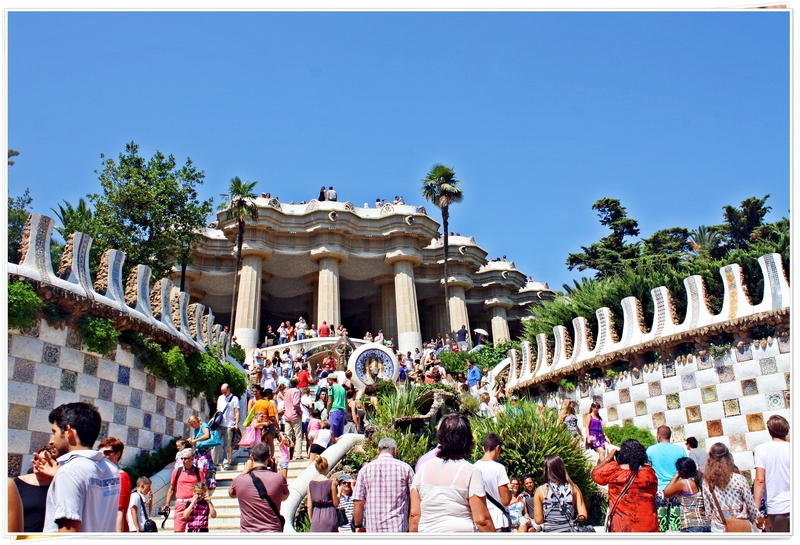 So what we scheduled for this day was a trip to Park Guell, a public park system composed of gardens and architectonic elements located on Carmel Hill. 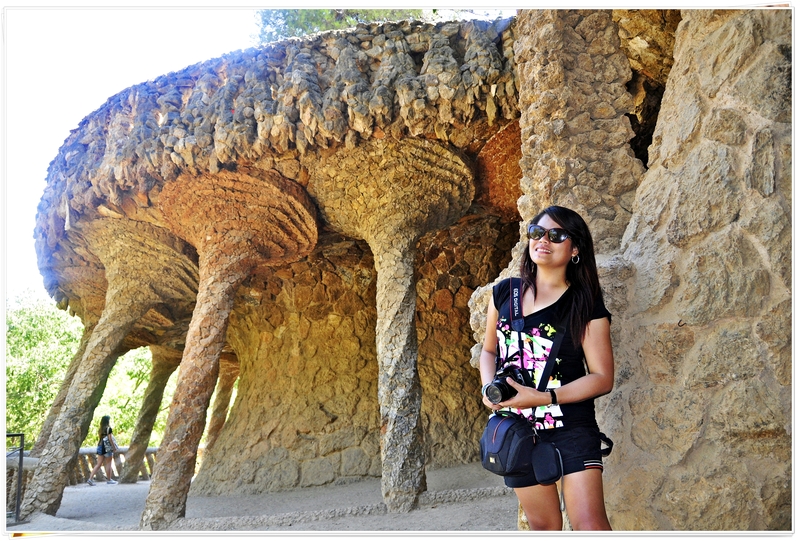 And yet again, this park was designed by Gaudi. As expected, the place was so packed with tourists, and we were lucky that we have pre-booked our tickets, we did not spend time queuing under the heat. 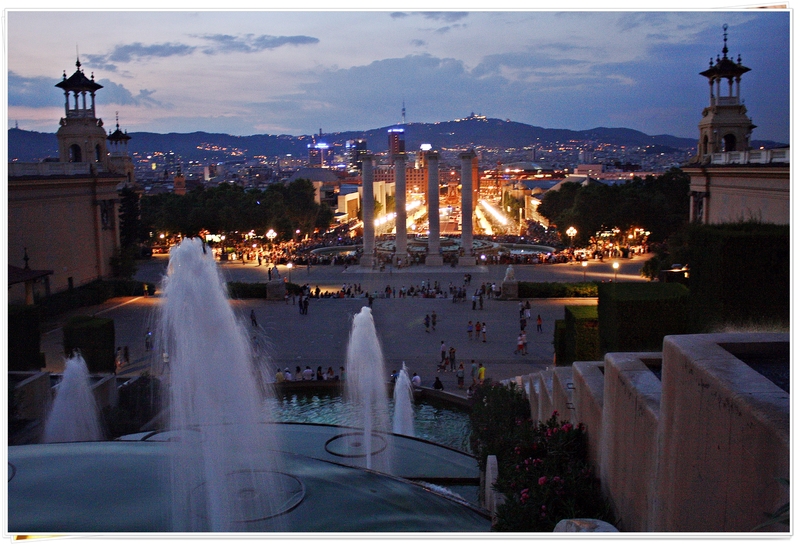 It’s a lovely park and obviously, like the previous Gaudi works we’ve seen, the design of the park was so impressive! 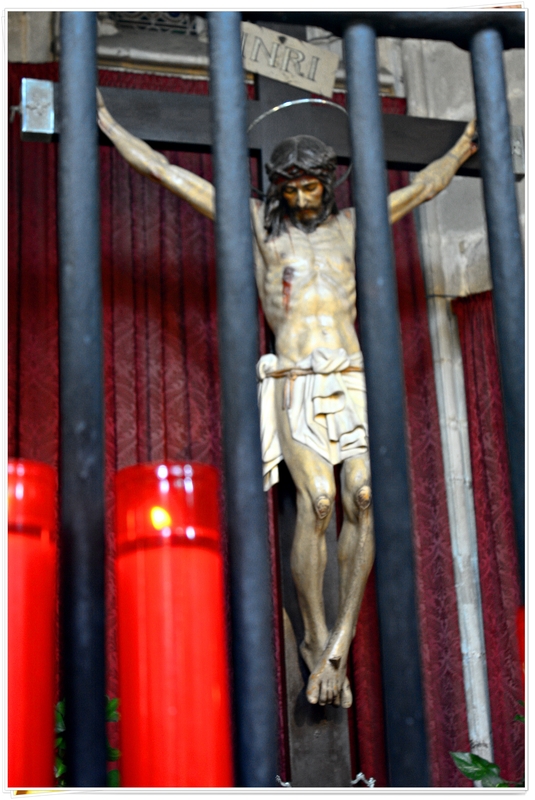 We spent time exploring around and getting to a cross on a hill, just passing the time until it was time for us to return to our hotel and check out.